This video will change your life. I was kind of shocked to see this list. One, that such a list exists. Two, that the list includes a lot of makes/models and have reasonably high sales numbers. So, went in for my free 15,000 mile service and found #280 of 1500 on the floor. I guess it looks nice, but it's missing anything that actually makes it faster. Body kits do not count. My FR-S, not my Viper. The word live usually means...you know...live. This is more like, "put your questions here and they'll get answered eventually." 118,000 page hits and counting. Jalopnik may have just found out how to win the internets. Matt, get ready for some jail time. You know, for page hits. Me: "I need to order some parts from a new vendor in Germany. What information do you need from them to set them up in our system?" Make sure you don't get heated seats, because you'll lose the condiment holder. What is this piece of crap? No wonder you can't even buy one. My coworker just started talking about Eigen values like it was an everyday term. Sometimes I hate my life as an engineer. A new type of rotary? Interesting take on the rotary engine. Sounds like it's not quite ready, but the patent has been granted. 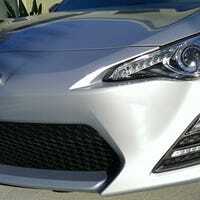 Has anybody here driven 600 miles in one day in an FR-S? Were you comfortable? Color me confused, WTF VW? So, just figured I'd look at the Jetta Sport Wagon TDI just for fun (burning time). Anyway, it's supposed to come with a 6 speed manual, but the tech specs show 5 speeds the and ratio difference between 4th and 5th is 0.01. That seems to make zero sense. Can anyone explain? Well, the dealership has made things right. The two dents they put into the door panel while replacing the power mirror mechanism have been removed. So, the power mirror mechanism broke and replaced under warranty. Came to the car after service and found this. Not happy. At. All.